"DISTRICT 9" SEQUEL ON HOLD, BUT DIRECTOR NEILL BLOMKAMP'S NEW FILM "ELYSIUM" LOOKS PROMISING! A "District 9" sequel may be on a temporary hold, but director Neill Blomkamp follows up with "Elysium" starring Matt Damon, Jodie Foster, and "D9's" Sharlto Copley, an equally interesting dystopian sci-fi flick with a real world slant. "Elysium's" theme is certainly reminiscent of the ground-breaking 1927 German expressionist science fiction film "Metropolis." Like "Metropolis," "Elysium" explores the worlds of the haves and have-nots. 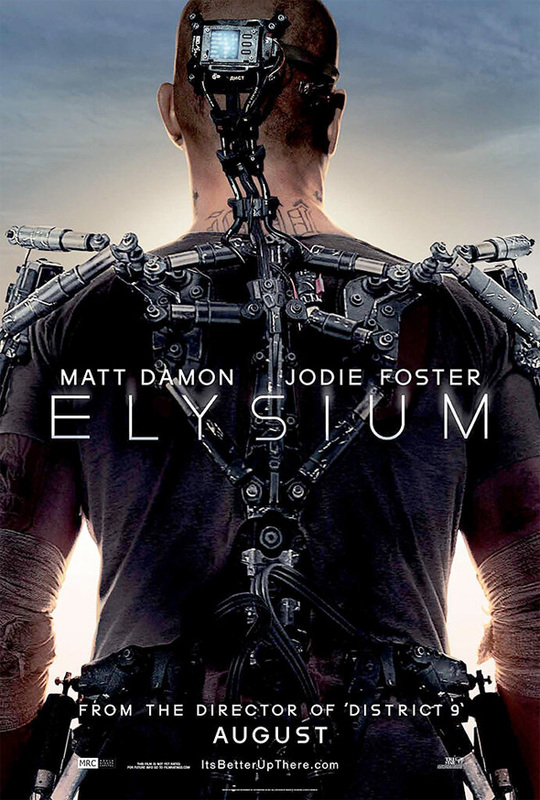 "Elysium" set the year is 2157, depicts a future where the rich are comfortably living on a luxurious space station and can cure their own cancer instantly by getting into cryo-tube-like pods. The rich enjoy lavish surroundings and are waited on hand and foot by robots while sunbathing by their swimming pools. In stark contrast the rest of the human race lives in squalor on Earth, which resembles the worst conditions of a third world country. Sound familiar? Well it should for two reasons– The film reprises that desolate South African look and feel and the healthcare/immigration issues that was so effective in "District 9." It also slightly reflects modern day "real-world" issues like "Occupy" or the "1% vs 99%" headlines that gave the media juicy material last year. The modestly budgeted "District 9" raked in a cool $210 million worldwide, which is probably why producers didn't mind doubling no make that quadrupling down on "Elysium's" budget. According to Matt Damon, Blomkamp mapped out and illustrated Elysium‘s segregated worlds a full year before shooting even began. To contrast with the eerie green and blue beauty of the space station, Blomkamp committed to shooting the earth scenes at the grungiest locations he could find in Mexico City: the second largest garbage dump in the world, and an outdoor sewer that the locals called, “Poo River.” – Screenrant dot com. Blomkamp has certainly tapped into a formula that works well for making sci-fi films look exciting and realistic. Though I wasn't initially blown away by "District 9" it has grown on me. I hope to see a "District 10" coming soon. In the meantime, I look forward to seeing "Elysium."